In this post will use SuperSU made by Chainfire to gain root access on Android devices. Not only SuperSU can do Rooting against the Android Devices, but still much more to do, such as RootGenius, iRoot, KingRoot, MobileGo, Kingoroot, One Click Root, and SRSRoot, these tools are designed to perform several functions such as rooting, flash ROM, flash Kernel, Remove Ads in Apps, Booster Device, Uninstall Preinstalled Apps, Remove bloatware, Unlock Screen, Download ROM and others. Some Tools at the top will require a PC to a place they walk, if you do not have a PC, you can do Rooting on your Android device without a PC, an application that you can use for rooting Without PC is KingRoot Mobile, 360Root Mobile, iRoot Mobile, RootGenius Mobile, Key Master Root, Kingoroot Mobile, TowelRoot, and FramaRoot. On your Android device, enable USB Debugging Mode. Download and install Acer USB Driver and Mediatek-USB-Driver.zip on your computer. Download and extract SP Flash Tool file on your computer. Download MT6589-Android-Scatter.txt file on your computer. Download Custom Recovery (CWM or CTR) on your computer and rename to recovery.img. Download UPDATE-SuperSU.zip file and place it on your Acer Liquid Jade E2 (V370) SDCard Memory (placed outside the folder). Then run the SP Flash Tool (flash_tool.exe) on your computer, then click on the "Scatter Loading" and navigate to the MT6589-Android-Scatter.txt file. Now, give check the checkbox "RECOVERY" and double-click on in the "RECOVERY" then navigate to the file recovery.img. After that, turn off your Acer Liquid Jade E2 (V370) (pull the battery if necessary). Now connect your Acer Liquid Jade E2 (V370) to a computer using a USB cable. 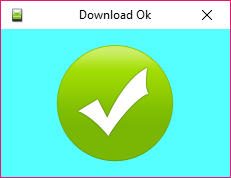 There will be a process of downloading the SP Flash Tool, Wait Process Download complete (make sure there is Green Check). If it is so, you can disconnect your Acer Liquid Jade E2 (V370) from the computer. (don't power on your device). After the entry into CWM Recovery Mode by pressing the "Volome Down and Power" simultaneously. Release all buttons when the Acer Liquid Jade E2 (V370) screen flickers and in a few seconds the Recovery screen will appear. (Volume Down button for selecting, Volume Up button for OK). Upon entry into Recovery Mode, then select "Install zip from sdcard" then navigate to the file UPDATE-SuperSU.zip. After the installation is complete, now select +++Go Back+++ to return to the start menu CWM Recovery. After returning to the start of CWM Recovery menu, now select "Reboot system now" to restart your Acer Liquid Jade E2 (V370). - You should answer Yes when asking "Disable Flash Recovery"
- You should answer No when asking to "Push root with /system/xbin/su"
If all is successful, you will now see the application SuperSU on the menu of your application. 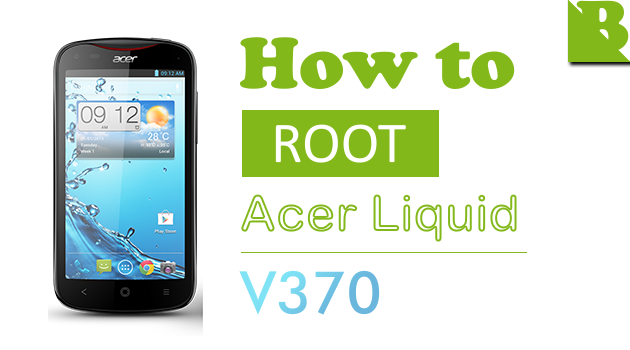 Optional: You can also verify whether you have successfully Rooted Acer Liquid Jade E2 (V370) or not using the Root Checker app. 0 Response to "How To Root Acer Liquid E2 (V370) And Install Custom Recovery"